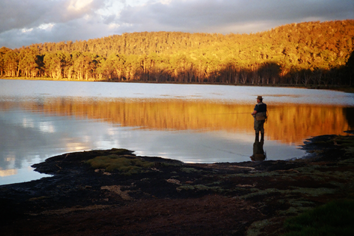 The North West Fly Fishers Club is based in the North West Tasmanian City of Burnie. We have monthly meetings at which we catch up on the news from each others fishing exploits whether successful or not. It goes without saying there is always a tall story or two or the recounting of a mishap. We invite guest speakers along to our monthly meetings, who share with us from an area of their expertise and or enlighten us on some topical point of interest. Many of us tie our own flies and enjoy sharing new innovations and techniques. The club has access to a local farmer's dam which we have stocked with trout. We use this dam to introduce new comers to the sport and to sharpen our own casting skills. The Club also organises social events, fishing trips, competitions between members and competes in the Tasmanian One Fly Competition held annually. The Club welcomes guests to our meetings and is always looking for new members who have a desire to learn and extend their knowledge in the art of fly fishing.